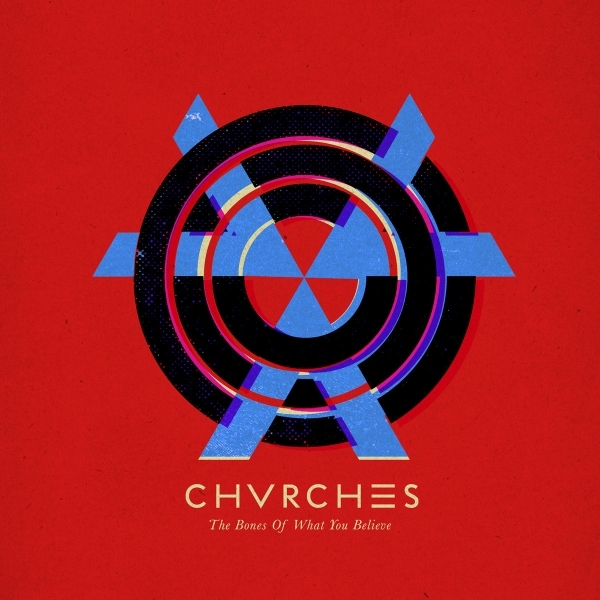 The Bones of What You Believe font here refers to the font used in the cover artwork of The Bones of What You Believe, which is the debut studio album by Scottish synthpop band Chvrches. It was released on 20 September 2013 through Virgin Records and Goodbye Records. Two fonts have been used in the album cover above. For the album title, it is probably set in Baskerville Italic, an old style serif originally designed by John Baskerville. For the band name, it was probably designed based on Journal Sans, a geometric sans serif from ParaType. You can view more details about it here.